Payment gateway » Blog » Uncategorized » Is Tokenization the Future of Payment Security? Payment security is an important issue for online merchants. Their customers need assurance that their data is safe and no one will be able to steal their debit or credit card details. Solutions such as tokenization help online business owners resolve many vulnerabilities in the payment process on their websites. This article is aimed at helping you learn more about tokenization technology and what the benefits of using tokens are. Merchants need to comply with the Payment Card industry Data Security Standards (PCI DSS), which tells them how to secure sensitive data used in payments. Note that the PCI now requires data encryption and considers tokenization in the future version of the PCI DSS guidelines. Tokenization is one technology that provides a payment process without vulnerabilities. In addition, merchants who use tokenization don’t have to store sensitive data on their servers. Tokens contain secret information that proves an identity, such as credit card details or personal data that appears as a random string of characters. Tokenization is about replacing the identifying information (for example a 16-digit card number) with substituted credentials. Using that encrypted information during payment limits the impact of a data breach. Note that tokenized numbers shouldn’t start with any numbers used by major card brands, which are 3’s, 4’s, 5’s and 6’s. This is to prevent token numbers matching a valid credit or debit card number. There are over billion non-cash transactions around the world each day, so it’s important to keep every single payment on the highest security level. This is what PCI Compliance is about. 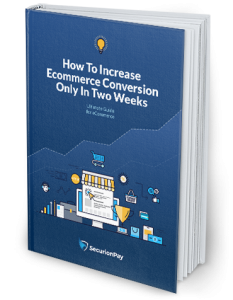 Fraud can happen anywhere in the eCommerce world. It doesn’t matter if you’re running a small online business or are an owner of a retail chain. What should you know about the fraud? You can see how the process looks like when you use a payment gateway like SecurionPay. The customer inputs his or her credit card details (which means the merchant sends the real card data for authorization), a token is created in our API and sent to our token server. Then, the authenticated response is returned and a token is also sent to your system. Now, you can securely process payments with a token in place of the cardholder data. Why is tokenization important for merchants? Each online transaction comes with the risk of fraud, so it’s crucial to reduce the risk and provide secure payments. The payment process is done with sensitive cardholder data and merchants have to understand where the vulnerabilities exist. Tokenization reduces the risk of a data breach. Even if someone steals a token number, it will be meaningless to them. Tokens are just a random numbers, so it’s impossible to use them to steal money. Also, every time a customer uses his/her credit or debit card at a merchant’s store, the same token number is given to the merchant’s system. This makes it easy for customers to pay with one click for future purchases at a merchant’s store. It also makes it possible to create a buying history on the customer’s account that could be used to start a loyalty program. Furthermore, customer’s data isn’t stored on merchant’s servers. A major benefit of tokenization is minimizing the risk of exposing sensitive data. Tokenization is also a great solution for mobile payments. Not only it is secure, but it also allows instant use. Payments can be made in seconds. As you can see, tokenization solves the problem of storing real credit or debit card data and helps secure the payment process on your website or mobile application. Is this how the future will look?